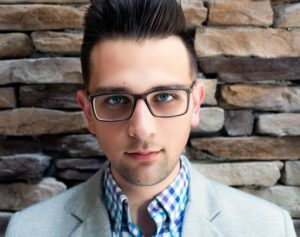 Justin Giarrusso is a composer of contemporary classical music that appeals to diverse audiences, having written in chamber, choral, and orchestral genres. His music is characterized by an espousal of light textures and is driven by formal structure. Giarrusso’s works frequently involve collaboration across artistic fields and incorporate interdisciplinary thought. Recently, NANOWorks Opera produced A World Apart and part of Divertissement Concertante was selected for the Lexington Philharmonic’s New Music Experiment. Justin has been a winner of the 2013 Mu Phi Epsilon Original Composition Contest, the Manhattan Choral Ensemble’s New Music for New York Composition Competition, and the Huntsville Youth Orchestra’s First Annual Young Composers’ Forum Composition Competition; and a finalist for the 2012 ASCAP Morton Gould Young Composer Awards. Justin is a graduate of Florida State University, the University of Louisville and Ohio Wesleyan University, where he received a D.M. in Music Composition, an M.M. in Music Composition and a B.A. in Music Theory, respectively. Giarrusso has studied composition under the guidance of Clifton Callender, Steve Rouse, Jennifer Jolley, Clint Needham, and Jason Bahr.